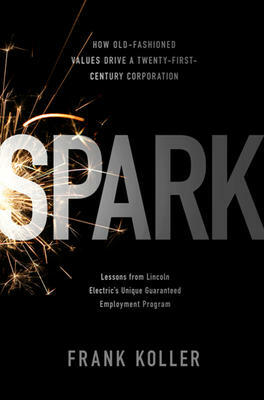 Frank Koller will be at Books on Beechwood, on Thursday the 6th of May from 6 to 8pm, reading from, discussing, and signing copies of his book “Spark: How Old-Fashioned Values Drive a Twenty-First Century Corporation! SPARK is a fascinating glimpse into how capitalism can, and should, work in North America – to protect people as well as profits. Long time CBC economics reporter and foreign correspondent, Koller tells the story of how one unusual and profitable Fortune 1000 multinational company challenges the conventional wisdom shaping modern management’s view of the workplace by refusing to lay off its workers in tough times. Lynne Olson has already written about how Britain was saved in its darkest hour in “Troublesome Young Men”. These were the men in England who fought appeasement and backed Churchill’s rise to power. In her new book, Olson looks at the Americans who also rallied to England’s aid, at a time when she was on the brink of going under to the German blitzkrieg. It is once again – and probably forever – a totally intriguing and inspiring story. 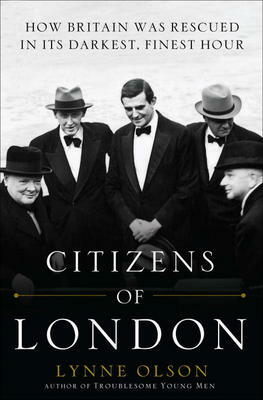 Olson calls her book quite suitably “Citizens of London”. She shows how three distinguished Americans, who had come to England with little knowledge and not too much respect for the country, fell totally in love with the people of London and their stoic bravery. Edward R. Murrow was the head of CBC News in Europe; Averell Harriman was the millionaire who ran Roosevelt’s Lend-Lease program in London; and John Gilbert Winant was the idealistic U.S. ambassador to Britain. They were all Roosevelt appointments and not only backed his policies, but often pushed him further when the U.S. public tended to lag. Olson includes others: General Dwight D. Eisenhower and Tommy Hitchcock, a famous World War l fighter pilot who helped save the Allies’ bombing campaign again Germany. The book conjures up the hectic hard-drinking cocktail atmosphere of London, as well as parties at Churchill’s home which led to scandal among these top men. But Olson never strays far from the ordinary people of her title. They were the ones who really won the war and when you read this you realize, once again, why. 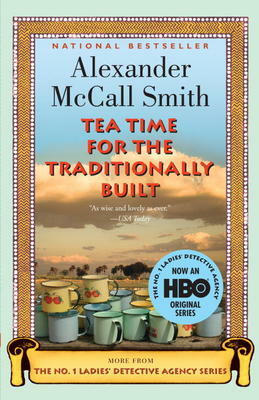 This is a Vintage Canada edition of the Alexander McCall Smith book which came out last year. It is as delightful and easy to read as all his books, perhaps particularly those from the The No.l Ladies’ Detective Agency series. Precious Ramotse is the lady detective involved. This time she has her hands full with professional as well as personal problems. Her beloved tiny white van has broken down; her assistant has run into jealousy probems with her fiance; finally, the local football club has run into an unexpected losing streak, and the owner thinks one or more of the players is throwing the game. The problems themselves are not really what hold our interest. It is the gently hilarious way McCall Smith handles them. He brings to life a gentle African town – so different from the deadly headlines we read every day from that continent. He once lived in Africa, although for the past decades has been attached to the University of Edinburgh from where he writes equally enchanting books about that city. Read this one. “Wit worthy of Jane Austen”, says the Daily Mail, (London). This is really the story of immigration – 50 years ago – from Ireland to the United States. It is interesting to us today as we watch immigration to our country changing from European to non-European, as the whole world ‘s population shifts. Eilis Lacey couldn’t find a job in her small southern Ireland town in the unsettled days after World War ll. When a priest in New York, who knows her family in Ireland, offers her a job in Brooklyn, she accepts it. It means leaving a close-knit family, a charismatic sister she dotes on and a widowed mother. After intense loneliness in her new boarding-house in Brooklyn, she eventually finds her feet, is liked at work, as well as the local dances. Somewhat to her surprise romance enters the picture, and she is wondering what to do, when her sister “back home”, suddenly dies, and she has to make the trip to Ireland. Toibin gets astonishingly close to his characters and is justly called “one of the most accomplished writers writing in English today”. This book is charming and we get very close to its unpretentious group of characters. We are even challenged on our ideas of switching loyalties. 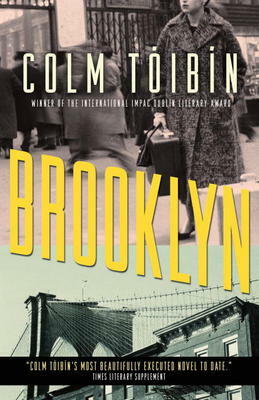 Toibin lives in Dublin and has won awards for five major novels, including “The Blackwater Lightship” and”The Master”. It is surely a brave book that would set a love story near the killing fields of Pol Pot. Canadian author Kim Echlin does this in her most recent book “The Disappeared” – even though the love story does start in Montreal and gives a haunting picture of the apartments, and bars and downtown dives of the east end of that city. Echlin had travelled in Cambodia with a medical research team doing inoculations for children. She saw the memorials to those lost under the Khmer Rouge, 30 years earlier when 2 million died, many buried in the Killing Fields of Pol Pot. Her book is an intense contrast between deep love, and hatred. A Montreal girl meets a Cambodian musician, sent to Canada by his family to escape the slaughter in Cambodia. She lives with him and falls deeply and forever in love. 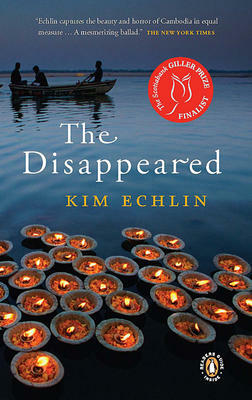 Her life is shattered when he disappears, back to Cambodia, where he was drawn to look up his own family. Ten years go by, without word, and she sets off to find him. The story is convincing – but harrowing. She learns the language and does find her lover. There are touching and terrifying descriptions of life in Cambodia where her true love cannot really tell her what he is doing. She follows him to his death and the book shares her feelings after that, when she returns to Montreal. Echlin writes in a spare prose and the book has been called a battle cry and a piercing lament for truth, for love. She lives in Toronto, and has written four other books including: “Elizabeth Smart: A Fugue Essay on Women and Creativity”. This is the book you need beside you when you put down the daily newspaper with the continuing bad news out of Pakistan and Afghanistan. It is the almost unbelievable story of an American who set out “to promote peace one school at a time” — and succeeded. Peace is not something we have been encouraged to pursue for some time. Greg Mortenson, through an extraordinary set of circumstances, found himself in a position to do just that. In l993 he set off from his home in California to climb the world’s second-highest mountain,K2, in Pakistan’s rugged Karakoram mountains. He failed and was rescued and cared for by the inhabitants of a poor village up in the hills. Struck by their poverty, he promised them, and himself, to return and build them a school. Back in America he helped found the Central Asia Institute and then set off himself to fulfill his promise. Mortenson had grown up in Tanzania, where his parents were missionaries. He learned the language of the Pakistan people. Through dangerous adventures he was kidnapped, held by warlords, shot at by opium smugglers. He became known as “Dr. Greg” and his training as an emergency nurse did indeed help him. By 2009 , 8l schools had been put up, mostly in Pakistan but a few over the Afghan borders. Children, especially girls, who had been sitting on the ground reading their lessons, now had a place to study. Needless to say this has had a huge effect on this area. Military commanders in the U.S. have put the book on their reading list. It has been published in 3l countries. 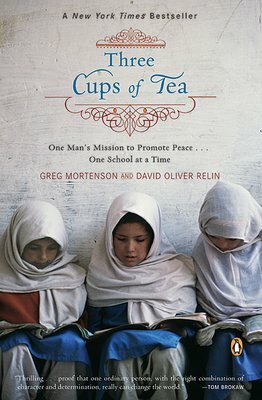 Mortenson now has a second book published: “Stones into Schools”. He is indeed an amazing man – living proof of what can be accomplished when we talk to “the other side”, instead of shooting them. Anne Tyler writes about “ordinary people” in such a way that we can all relate to them. Or perhaps noone really feels ordinary, and neither do they. “Noah’s Compass” is the story of a school teacher, Liam Pennywell, who had to retire early when his fifth grade class merged out of existence. At 6l, he pretends to be glad of his freedom. In actual fact he hits a nasty break-in in his new apartment. This in turn starts him on a life he didn’t expect. Tyler is skilful and convincing in introducing the children from his two marriages, as well as his second (divorced) wife, sister and aged parents. Far from being left alone to read his beloved philosophy (the course he had wanted to teach) he is besieged with live-in family members, requests for drives, baby-sitting, etc. The book uncovers stifled affection and old loyalties. As the blurb says, there may be a little of Liam in each of us. He is certainly a recognizable and likeable character. 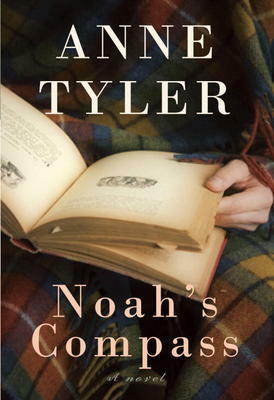 This is Anne Tyler’s eighteenth novel. She won the Pulitzer Prize in l988. She lives in Baltimore, Maryland. This is a fascinating novel on many levels, not least a glimpse into the beauties and mysteries of Egypt , l50 years ago. It is set in that country and based on the true story of Lady Duff Gordon. She was a renowned hostess in Victorian London, and author of the book “Letters from Egypt” which is still in print. She suffered from tuberculosis, however, and this drove her to warmer and dryer climates. That story has been told before, but Kate Pullinger takes a new approach and describes this exotic life through the eyes of the Lady’s chief maidservant, Sally Naldrett. We get the picture of total subservience on Sally’s part to the whims, as well as exciting adventures of the demanding Lady. Salons are re-established in their new headquarters at Luxor, and anyone of importance drops in to the Gordon household just as they did in London. Sally’s own life widens in this new world. She falls in love,has a baby, and assumes all will be well for her as it never had been in England. Not so. Down come the cruel bans of class prejudice and mistress-servant tyranny. Pullinger is very sympathetic in her description of Sally’s courage and eventual victory in the face of these old prejudices. The story gives a beautiful view of Egypt, with its vistas, and antique treasures, as well as a lovely description of travelling down the Nile. Sally learns to speak Arabic which opens up an entire new world to her and to us. Though set in l860, much is unchanged today. Kate Pullinger was born in British Columbia, and moved to London,England in l982. She has written a number of novels, and short stories. 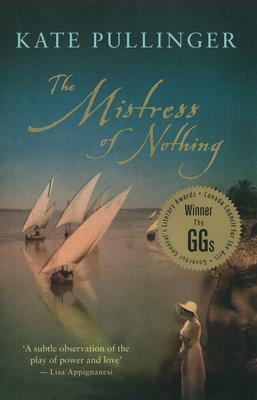 This book won the Governor General’s Literary Award. It’s not often “The Guardian Weekly” runs a colour reproduction top to bottom, on its Books Page. But this is a Bengal tiger in a glowering, golden rage, and it is a tribute to Graeme Gibson’s new book, “The Bedside Book of Beasts”. Heading the page is the headline: Animal Rights, human wrongs. Gibson is the Canadian writer, married to Margaret Atwood, who has already written “The Bedside Book of Birds”. In his new book he has a rich collection of essays and illustrations from all kinds of sources, Darwin to Audubon. 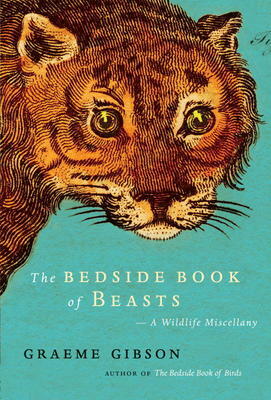 The book is, however, no “cosy compilation, but instead, red in tooth and claw”. It is also a warning as to what may happen when our species loses its temporary hold and the world is abandoned once more to the wild. The section titles hint at this: Echoes of a Working Eden; Death’s Golden Eye; Mighty and Terrible. There are wonderful illustrations, as well as thoughtful essays by Gibson himself. When man learned to kill by remote control, he upset the ecosystem. Freud writes: “A wild animal is cruel but to be merciless is the privilege of civilised humans”. Gibson begs us to reconnect with the animal inside us . He is a past president of PEN Canada and winner of prizes in writing. He has been a council member of World Wildlife Fund Canada and is chairman of the Pelee Island Bird Observatory. This is a wonderful book. Kate Grenville knows and loves her country, Australia. 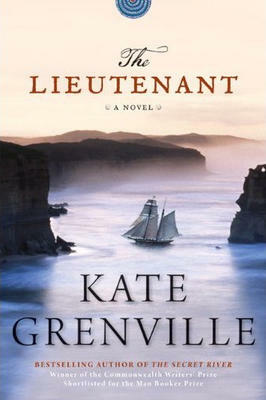 Her new novel, “The Lieutenant”, is set in New South Wales and the story brings that part of the world brilliantly to life. Even 200 years ago. A young British lieutenant sails in l787 with the British fleet and its cargo of convicts to Botany Bay. This officer is an astronomer – and a shy one. He sets up his observatory on a distant promotory and spends hours watching the heavens, and learning the new country. Kate Grenville lives in Sydney, Australia, with her family. She has written seven novels, as well as four books on the craft of writing. Many of them have won prizes. “The Lieutenant” is bound to join them.